Soooo I sort of cannot stay away from Disney World. Who can really? This December I returned for my second trip as a vegan. I learned a lot from my first trip as a vegan last year and felt pretty confident about this one. However, I did do my research again. A lot could change in a year! 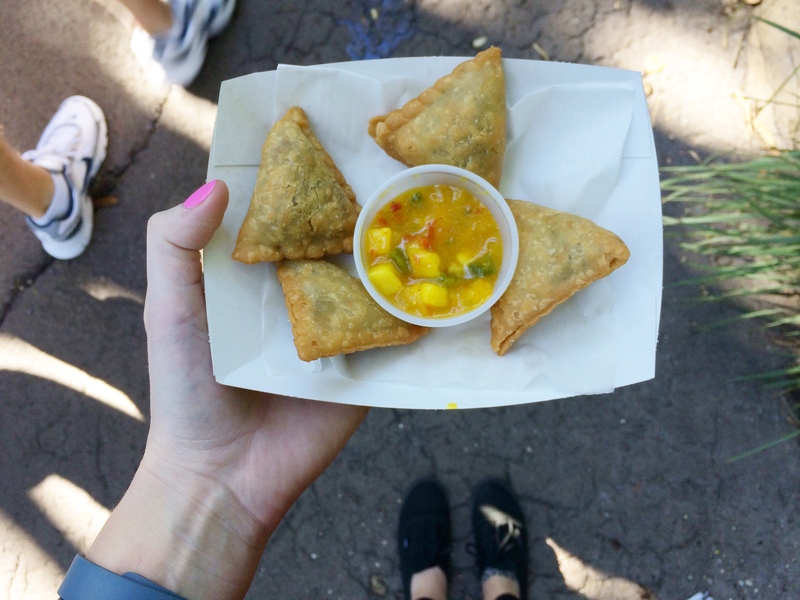 Thankfully my friends over at the Vegan Disney World blog opened my eyes to some new food endeavors. In this recap, I have added two sections that I previously left out: Rants & Raves and pricing. As a vegan, I do not feel the dining plan is worth it. In previous years, the dining plan left me with a daily bloated feeling, as I felt the need to over indulge with desserts and too many snacks simply because it was included. My most recent experience proved it was cheaper to do without the plan. 7 out of the 10 days, I ate breakfast in the room. There is a Whole Foods located 15 minutes from the park. I picked up bagels and fruit. I present to you my experience as a vegan in Disney World for the second time. 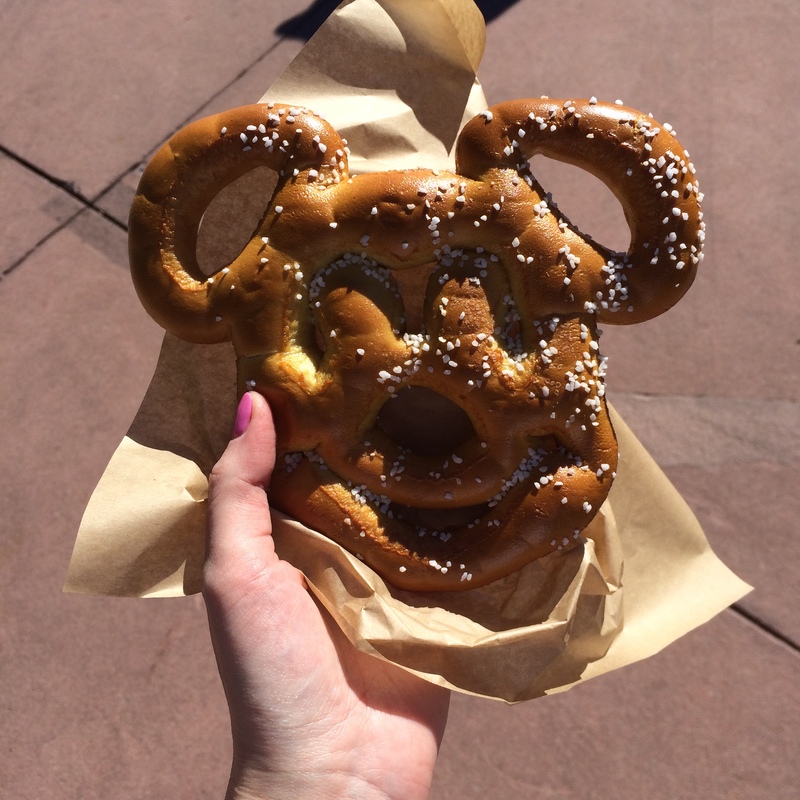 See my post Disney World as a Vegan for my first encounter. VEGANIZED: Surprisingly, they have soy cheese here. Order your pizza with soy cheese (it may take a little longer to make). In place of the Caesar Salad, they will give you a cup of lettuce with Italian dressing. 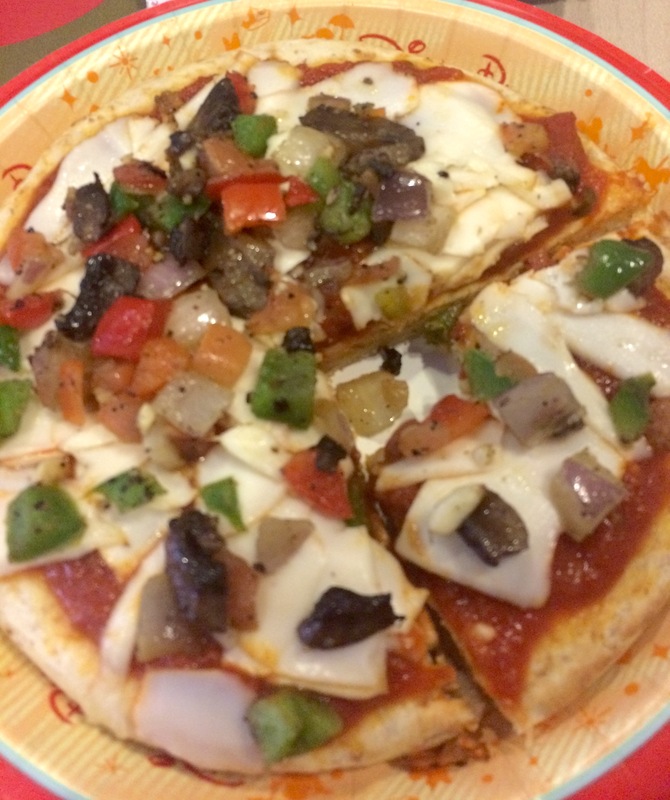 Rants & Raves: In my opinion, this would have been awesome except my pizza came out cold. I would recommend asking for your pizza well done to avoid this issue. 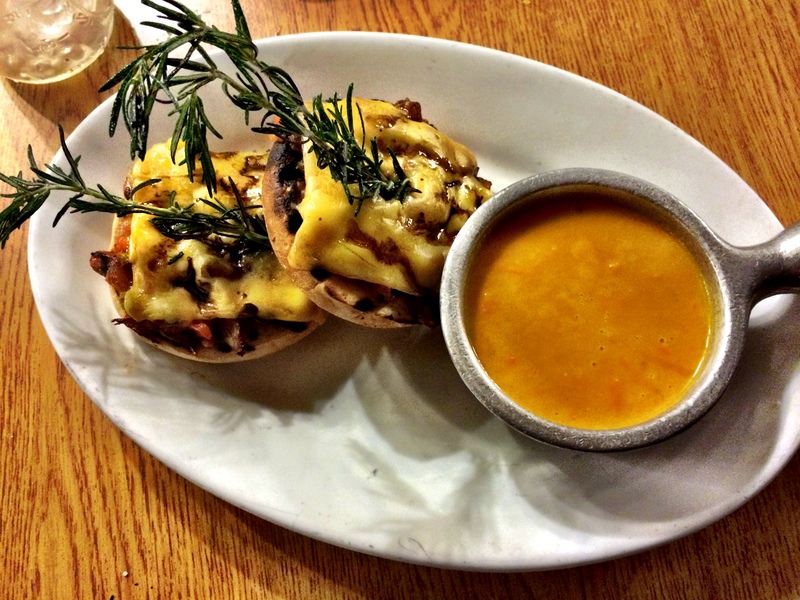 Rants & Raves: The taste of this dish was perfect. The tofu, was a bit small but full of flavor and cooked just right. VEGANIZED: Hold the cheese. Add veggies. Rants & Raves: I am not cheap. This pizza, however, was overpriced. For the individual pizza with mushrooms, onions and fresh diced tomatoes the total was $27.50. They did not take into consideration that declined cheese. Overall though, the pizza was amazing. 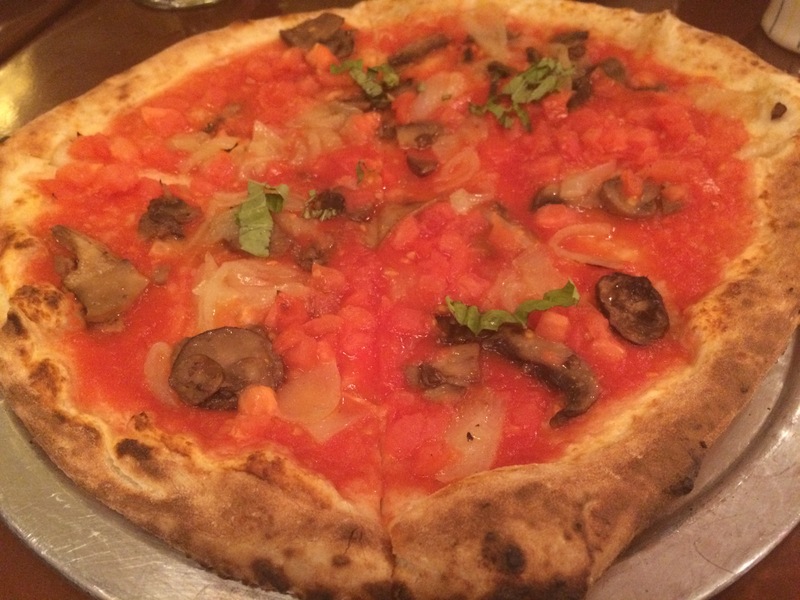 The wood fire grill cooked the pizza perfectly and the flavor was not lacking. 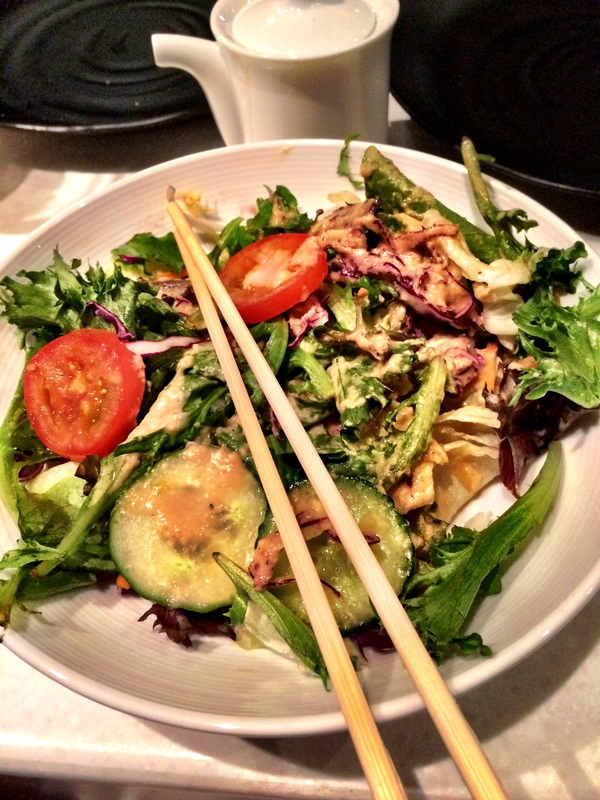 VEGANIZED: Choose the ginger dressing for the salad. VEGANIZED: Mention to the manager, waitress and chef that you are vegan. In my case, they cooked all vegetables prior to cooking meat products. Opt out of the udon noodles and steamed sukiyaki beef rice and ask for white rice. If you do not want them to use the same grill top, they will even cook your vegetable in the back kitchen. 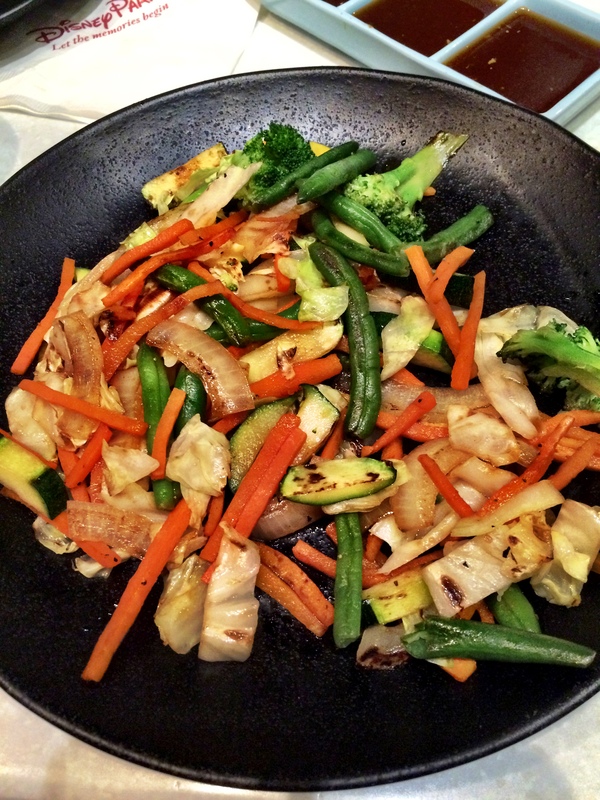 Rants & Raves: Any hibachi in the world could provide the same quality vegetable stir fry. 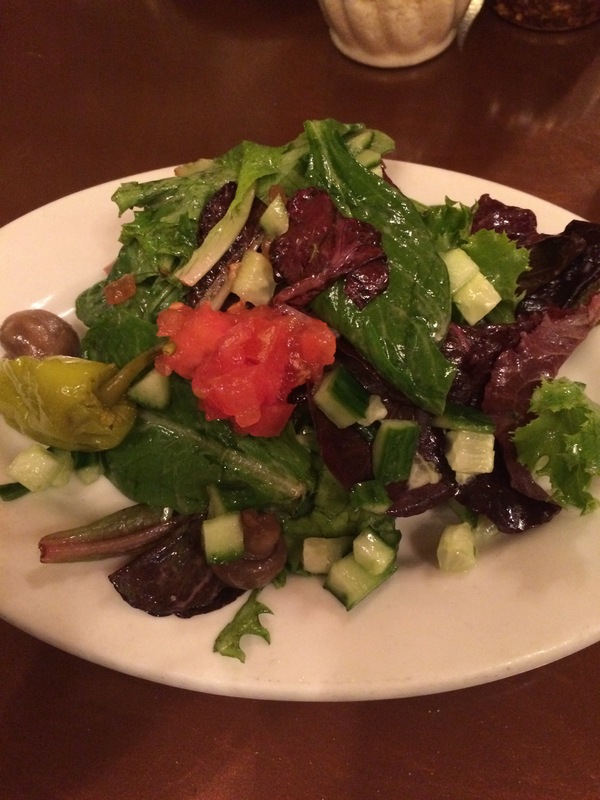 The ginger dressing made the salad delicious and the vegetables were seasoned wonderfully. My sister happens to love Hibachi’s and this was the only reason we ate here. It is a solid meal but not a top pick amongDisney Dining. Every time I go to Disney, I attempt the nearly impossible, unofficial, feat of “Drinking Around the World”. For those who are not familiar, a person attempts to have one drink in every country along the World Showcase, a la “Drinking Around the World”. I have never made the full loop though I know snacking in each country is key. This is tough for a vegan. 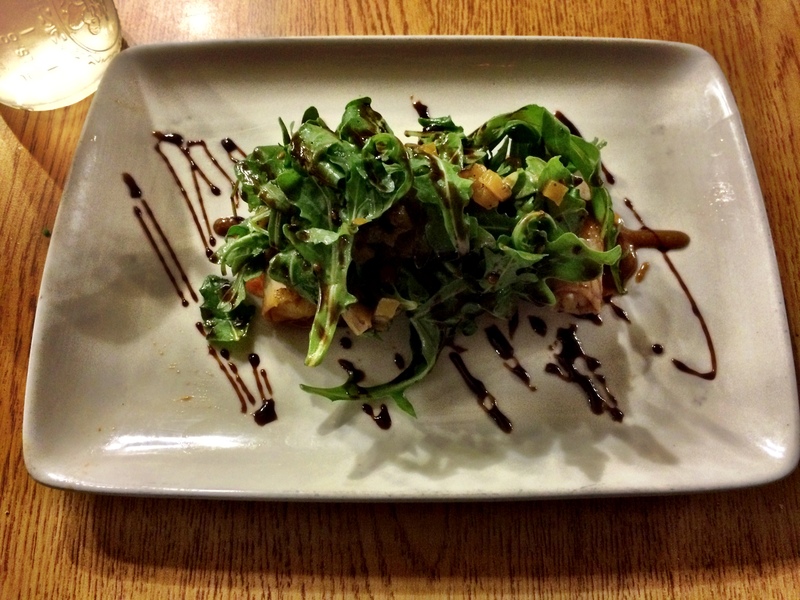 VEGANIZED: ($29.99) The chef prepared the following items special per the vegan diet. Rants & Raves: Unless you have children or are dying to see characters, this place is just meh for breakfast. 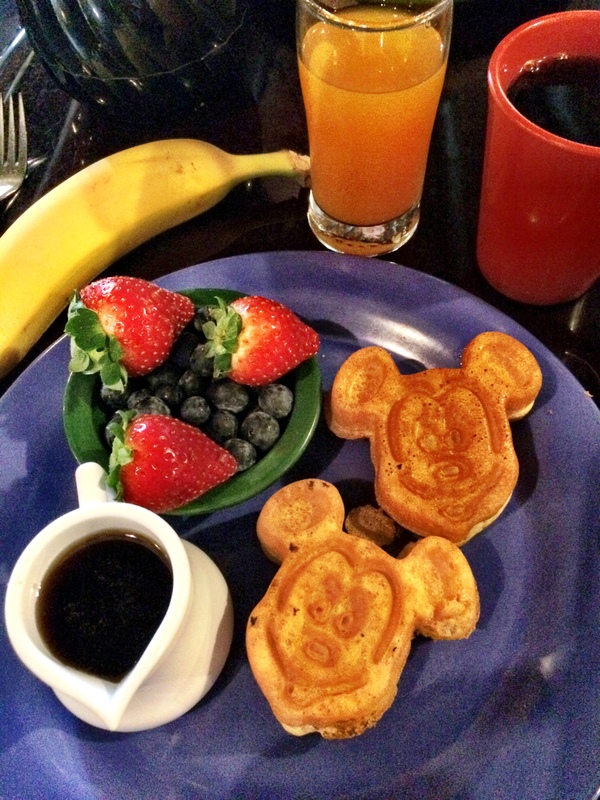 Veganized Mickey Waffles can be found at almost all quick service breakfast locations and are under $10. These two waffles were pretty much $30. VEGANIZED: Substitute rice. Lo Mein noodles contain egg. Rants & Raves: Sorry for the poor photo quality. 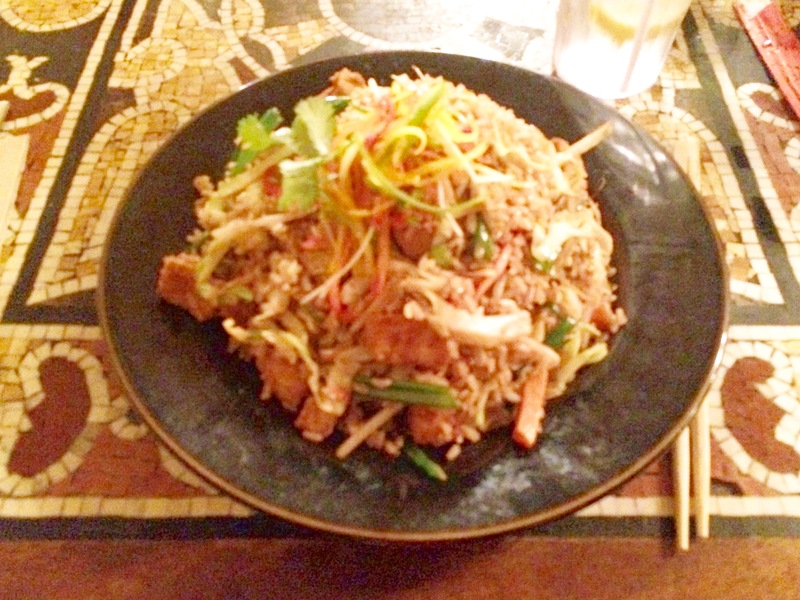 The meal was glorified vegetable fried rice. Just.. meh. 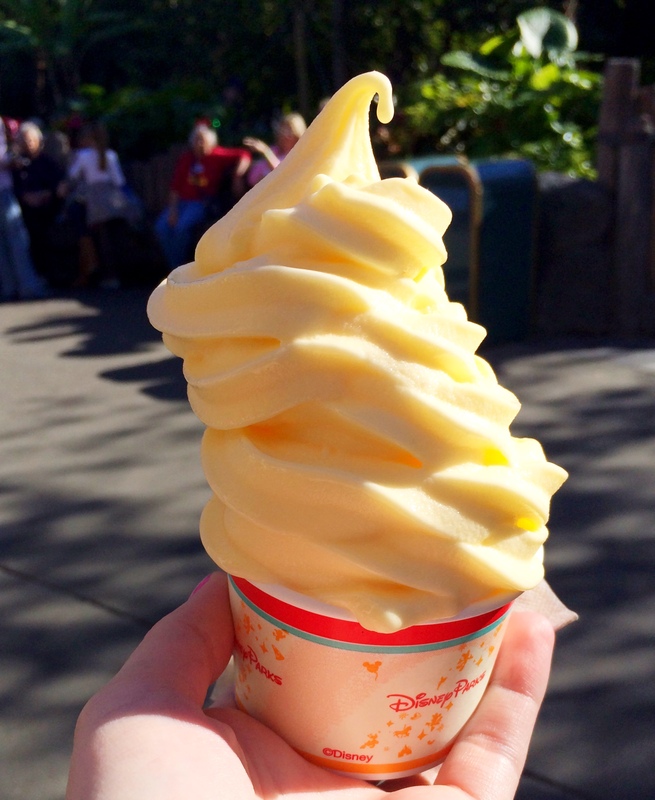 Rants & Raves: I would make an effort to try these while in Animal Kingdom. They are hands down my favorite snack in the park. Rants & Raves: I honestly loved this lunch. At the time it was exactly what I wanted. I would totally recommend this place. It is pretty much the hottest quick service in the Magic Kingdom due to its omnivore options. 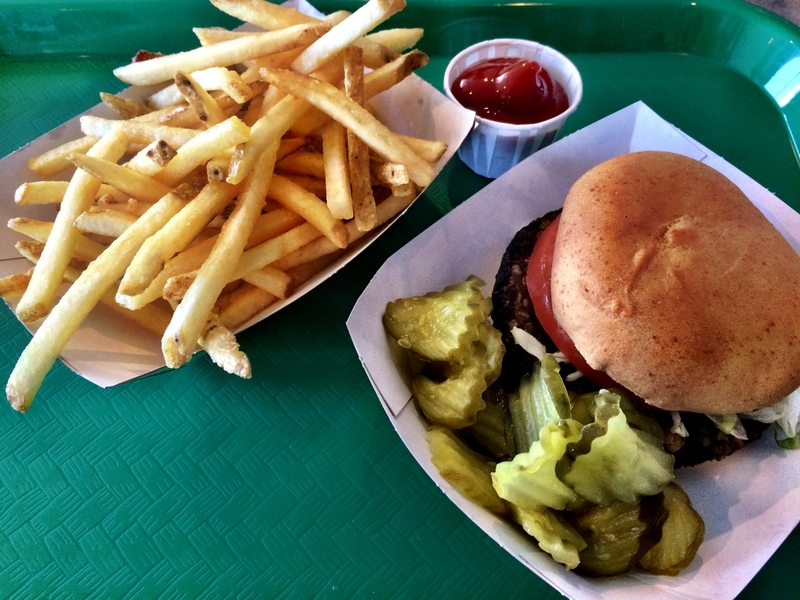 VEGANIZED: Substitute regular bun for dairy-free bun. Rants and Raves: I LOVE this place. Their condiment bar is PERFECT. As you can see I love pickles too and they are unlimited. 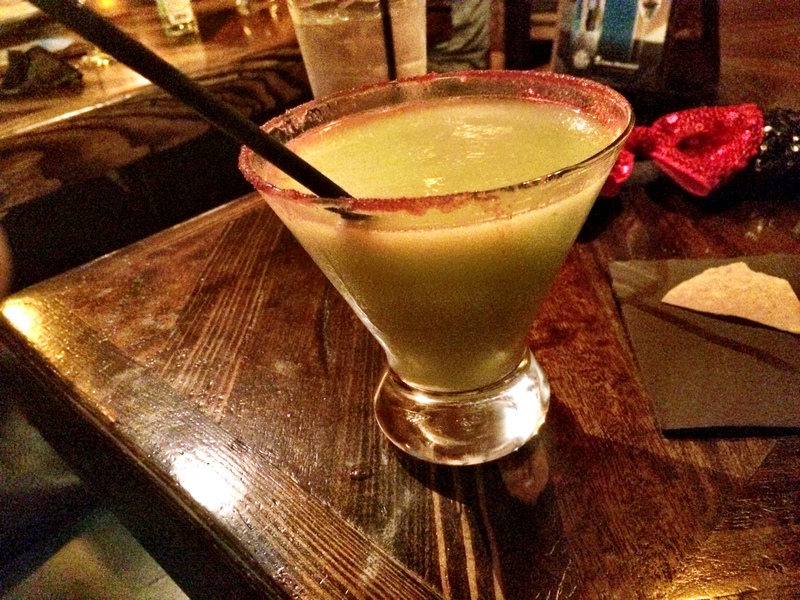 Rants & Raves: Heaven in a cup! Worth the wait in line (Yes, there will be a line). Rants & Raves: Sorry for the poor quality photos, it is a bit dark in the Enchanted Castle. The environment is lovely but I would not return. 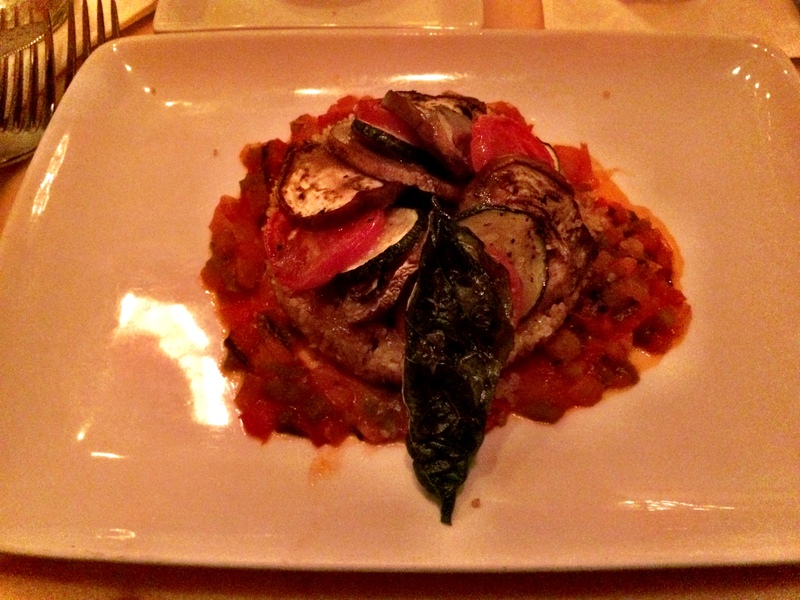 The ratatouille was bland and the though the salad trio could hold its own, without an entree it is not worth it. Also, unlike all the other restaurants, the chef would not even come to the table to talk about the vegan options. Chef TJ at Trail’s End in the Fort Wilderness section of the Wilderness Lodge will specially cook vegans a DELICIOUS four course meal. I could not tell you what exactly my four courses were, exactly. 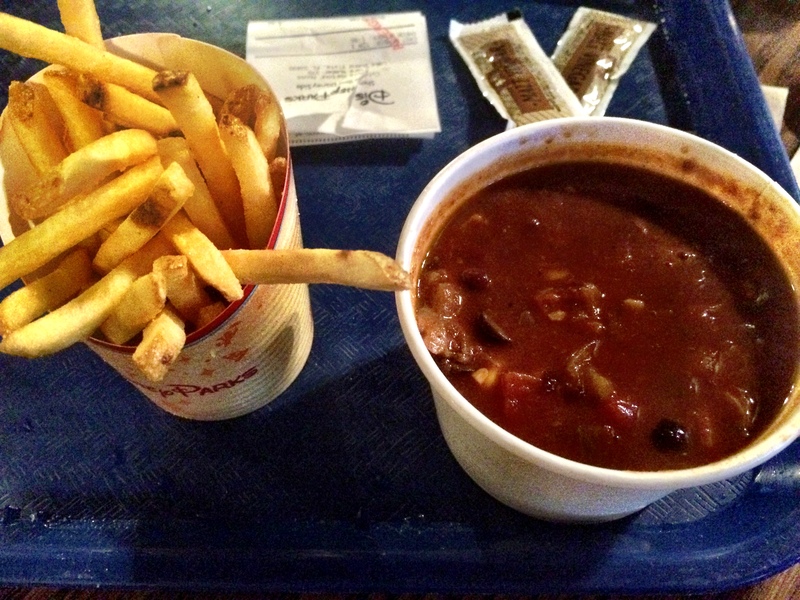 Just take my word for it that as a vegan, in Disney World, this meal was the best of the best. Rants & Raves: Everything was perfect! My recommendation is to arrive at Trail’s End SUPER hungry and ready to eat. Everything is made to order. DO NOT, I repeat, DO NOT, eat anything at the buffet before your order comes out. You will not have room for the amount of food Chef TJ prepares. You will regret it. 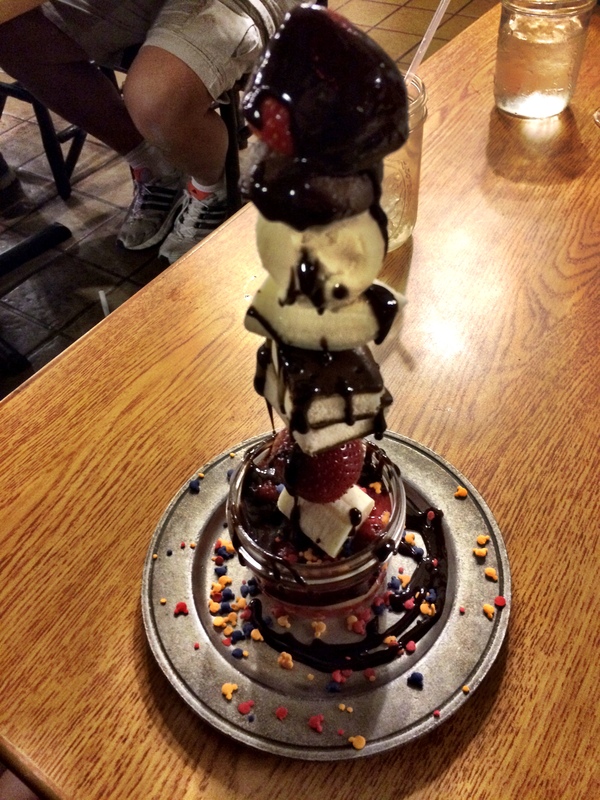 That being said, a Trails End TJ Experience is a MUST for vegans vacationing in Disney World. Make sure you call in advance though, TJ only works certain nights and you DO NOT want to miss this culinary experience. Another plus for you pocket, Trail’s End is the cheapest dinner buffet on Walt Disney World property. 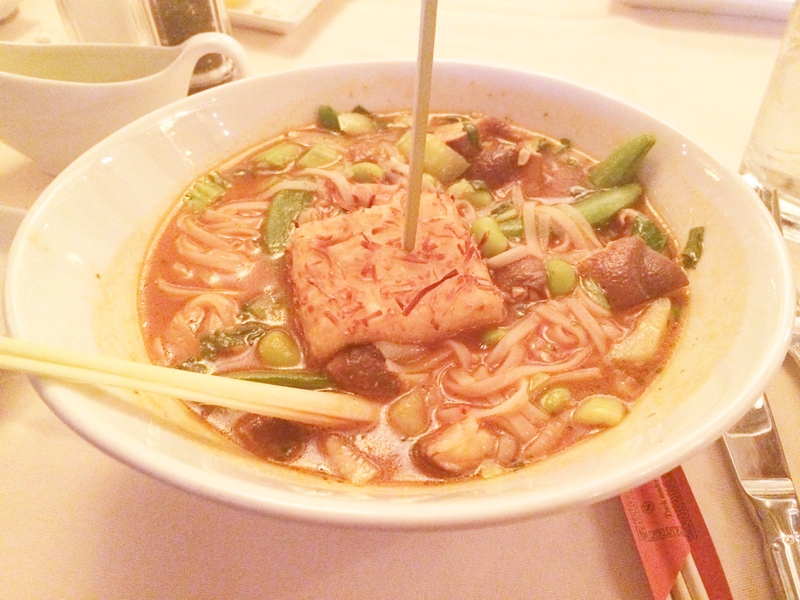 VEGANIZED – If you find a willing chef, they will soak in soy milk opposed to egg. If you find a SUPER willing chef they will pan fry the toast for you. If you are a vegan with no problem with shared fryers, they can also deep fry the toast that way. Also, request no strawberry compote, it has dairy. Substitute potatoes for meat option. 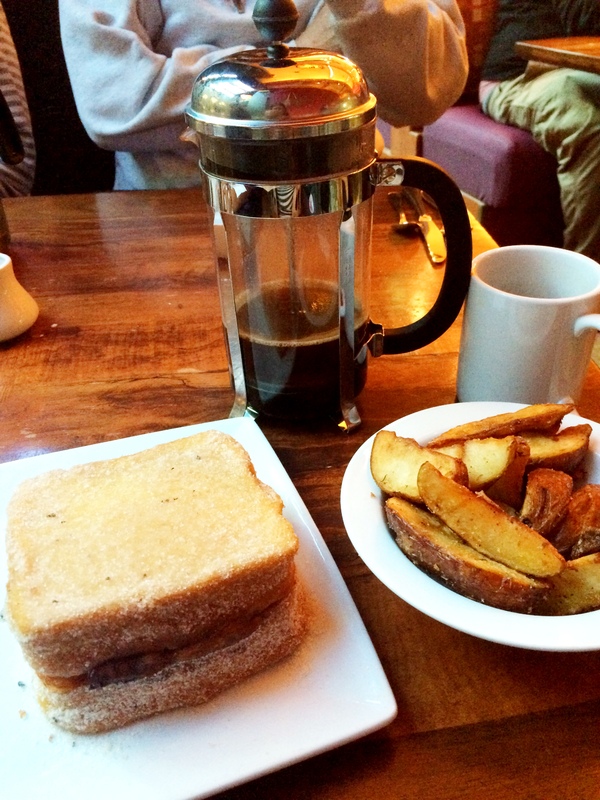 Rants & Raves: I still dream about how perfect this toast was. 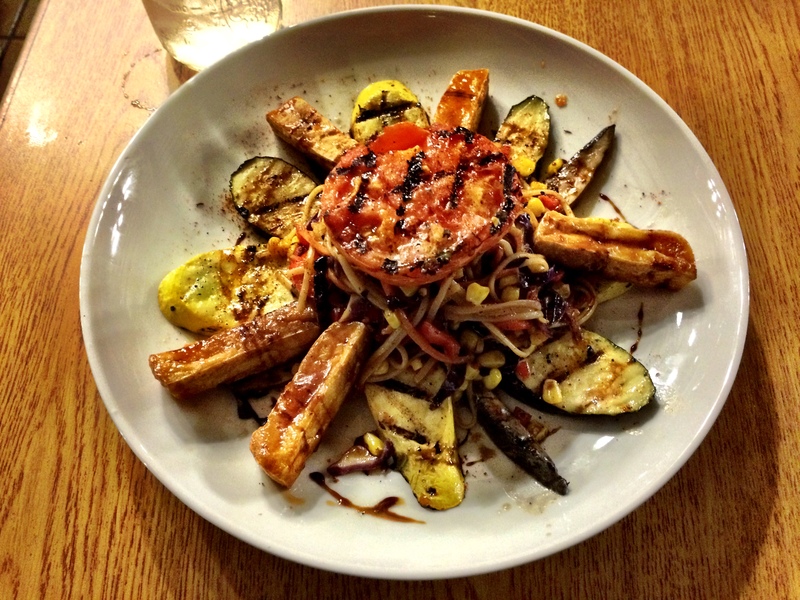 Try your best to convince the chef to make it. They will give in, hopefully. Another “I’m not cheap but…” annoyance. They charged me for the side of potatoes instead of subbing them for the meat I clearly did not receive nor want to received. 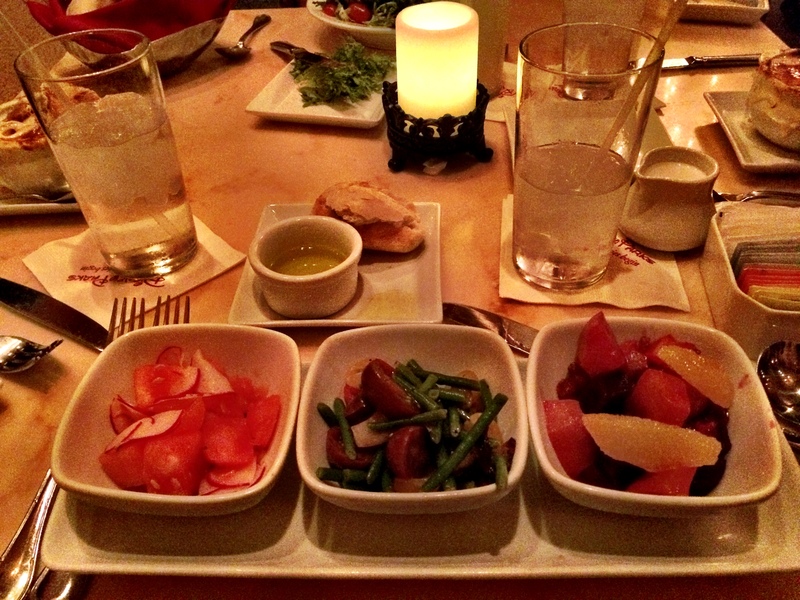 And there you have it… vegan options in Disney from my point of view. There are a few more, but these are the ones that worked best for me during my visit. Side note, be prepared to talk to managers and chefs at all restaurants. Also, prepare wait longer than your omnivore friends/family for food. Everything vegan in Disney is more or less made to order. 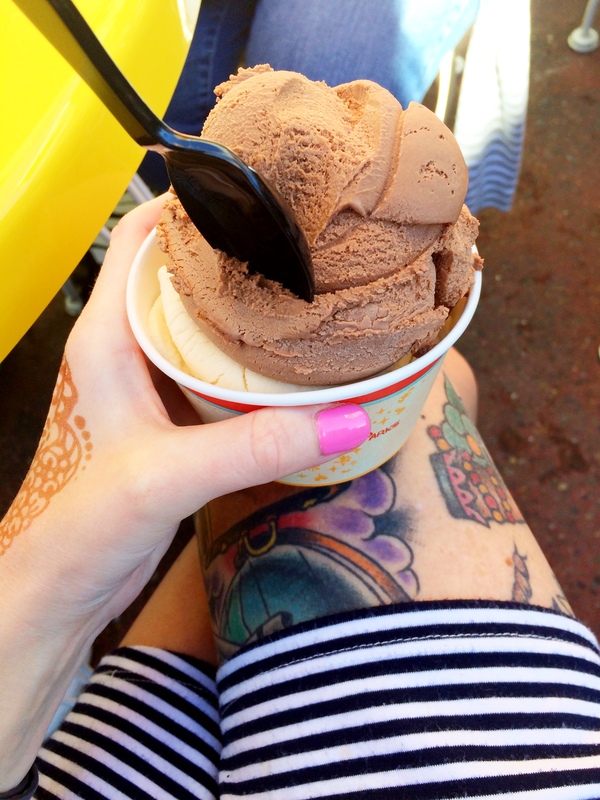 For further vegan options, I would view AllEars.net or, the constantly updated blog, Vegan Disney World.